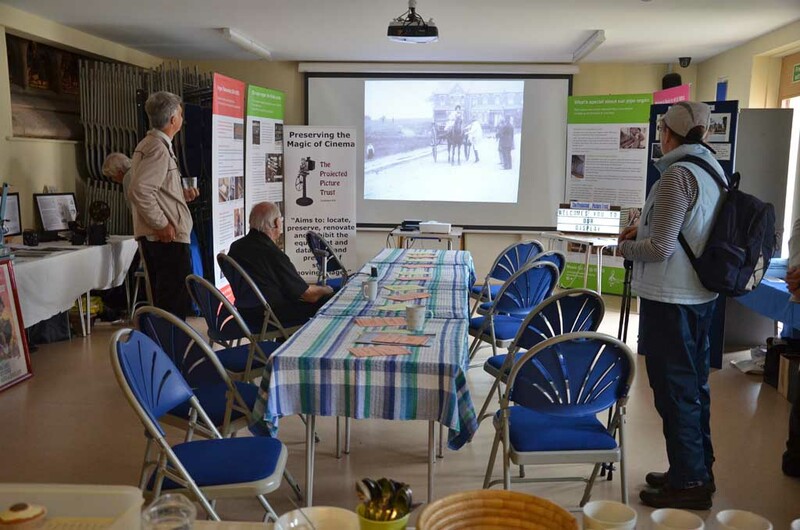 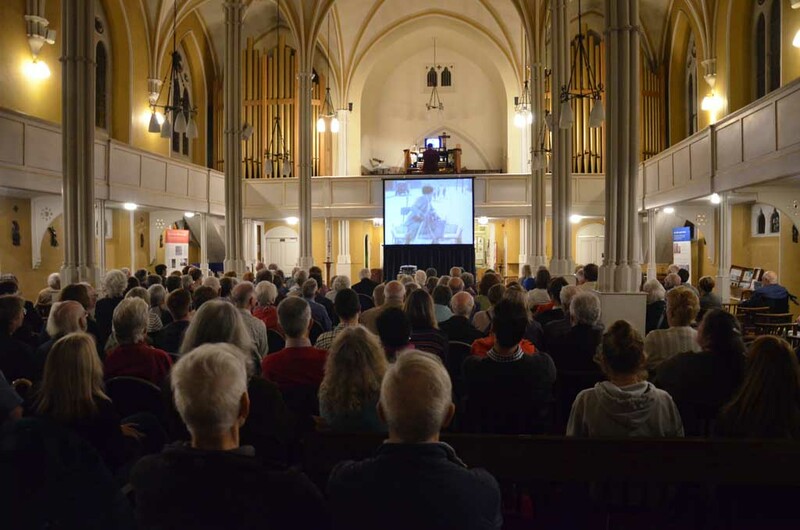 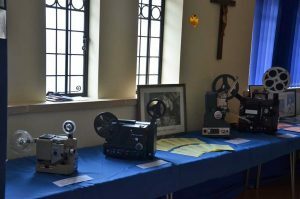 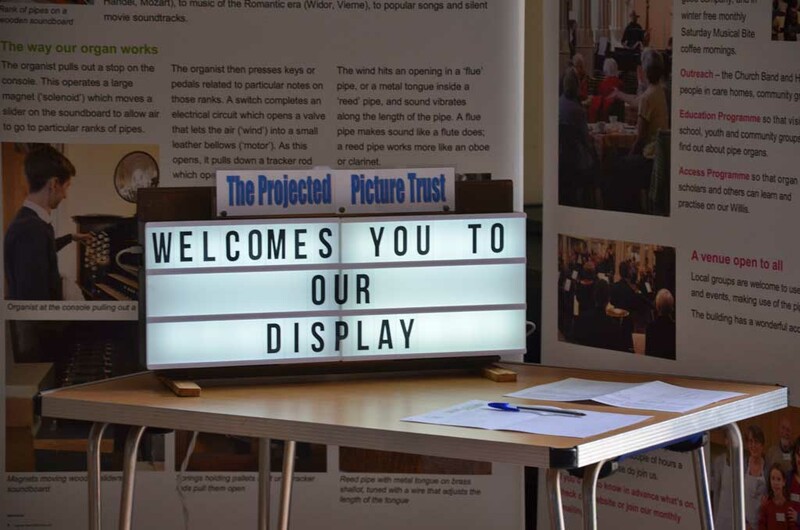 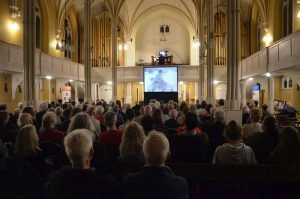 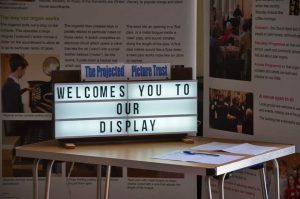 The second day of the Pipe organ festival in 2018 was all about movies and music - during the afternoon we had an exhibition in the parish hall by Peter and Peter of the Projected Picture Trust who brought along some table top cine projectors and other memorabilia of the silent movie era. 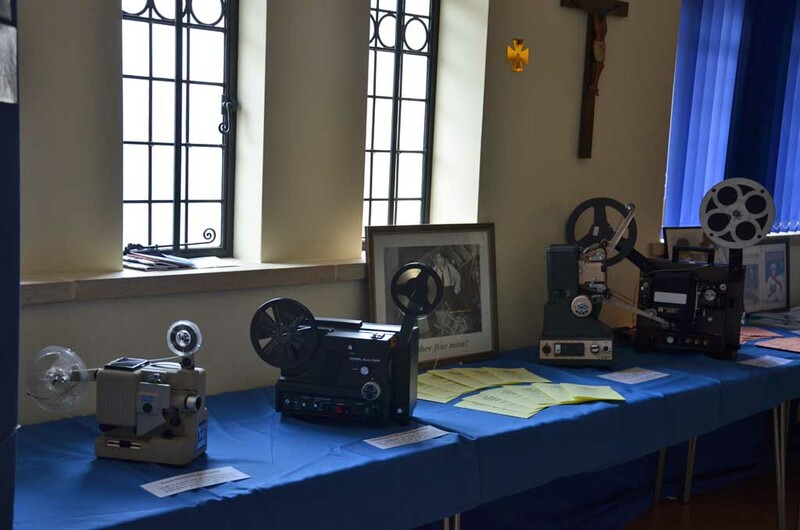 They also had some silent movies showing on the big screen in the parish hall. Some Ride & Stride cyclists came during the day to sign in as they rode from church to church in the area. They couldn't visit inside the church because there was a wedding. 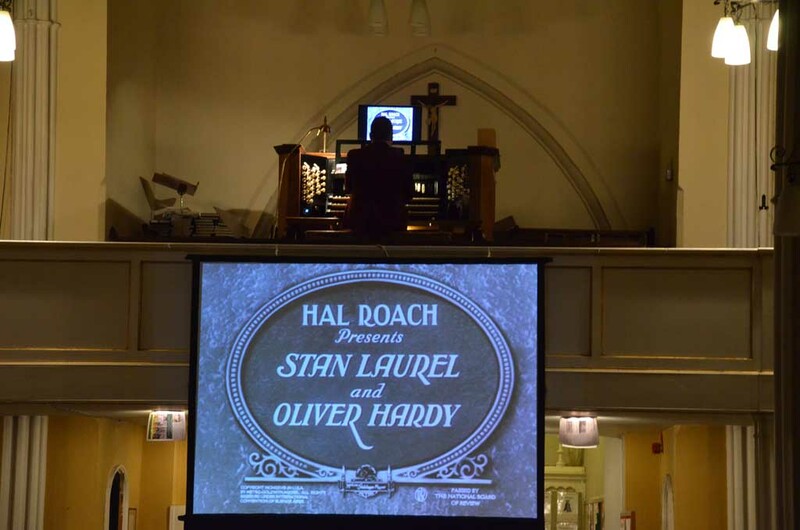 In the evening Donald MacKenzie returned to provide the live pipe organ soundtrack to not one but three movies. Donald started the concert with some fun popular music to show off the range of sounds the Willis pipe organ can make, followed by the first of the silent movies - The Rink, starring Charlie Chaplin, who proved to be a very skilled roller skater (it takes a lot of skill to play crazy stunts on roller skates!). 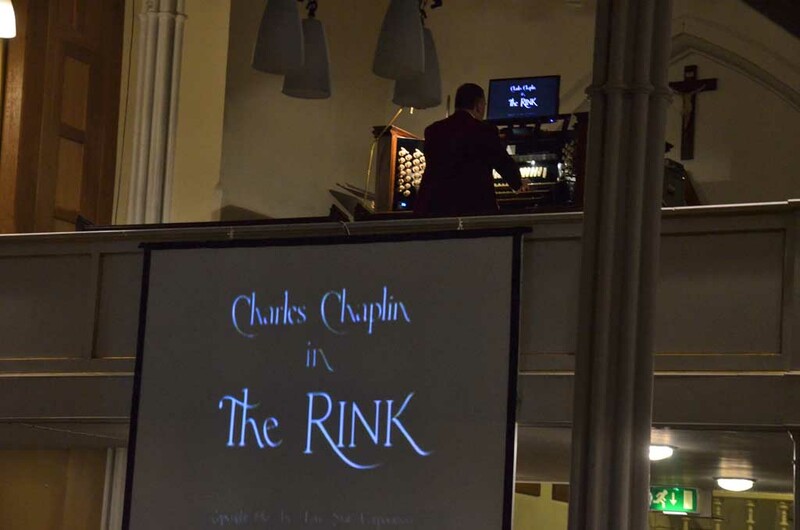 Donald's soundtrack was as always improvised to suit the action and he had to contend with something which was quite common in the silent movie era - the breakdown of the movie when the screen froze (it was being played using a DVD player) - this provided additional laughs for the audience, though is quite stressful for the organist! 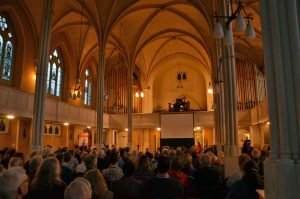 We served wine, juice, popcorn and ice cream during the interval which was followed by the other two movies. 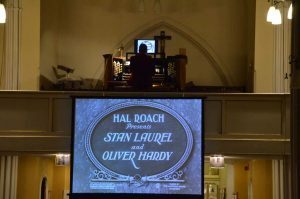 The second movie was a Laurel & Hardy movie 'The Two Tars' with the two sailors and their girl friends providing mayhem and silliness in a traffic jam. 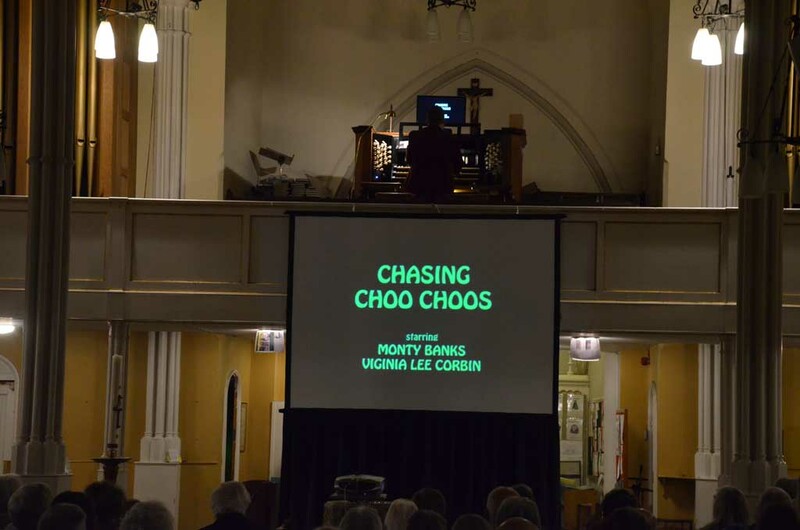 The third movie of the eveing was a Monty Banks film 'Chasing Choo Choos' when lo and behold in the latter half of the movie the screen froze again! 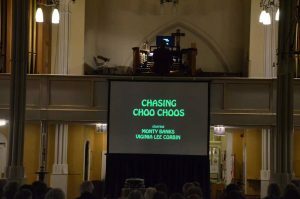 A sharp whack on the DVD player by Donald to get it going again made everyone laugh and we continued watching the crazy train chase including some very risky stunts. 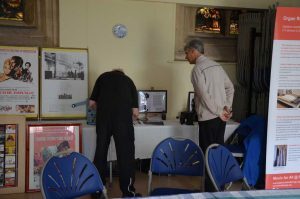 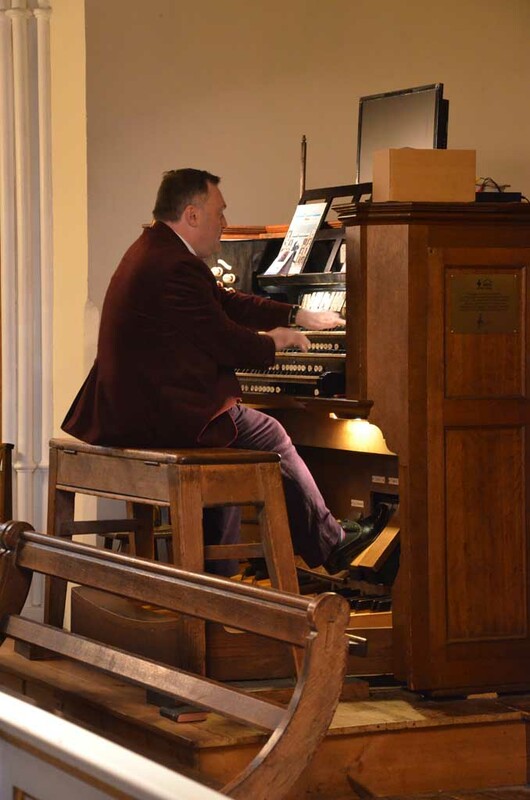 Thank you to Donald for providing such an enjoyable evening of organ music with the silent movies, to the Projected Picture Trust for their exhibition and to all the volunteers who helped with setting up, serving refreshments and tidying away afterwards. 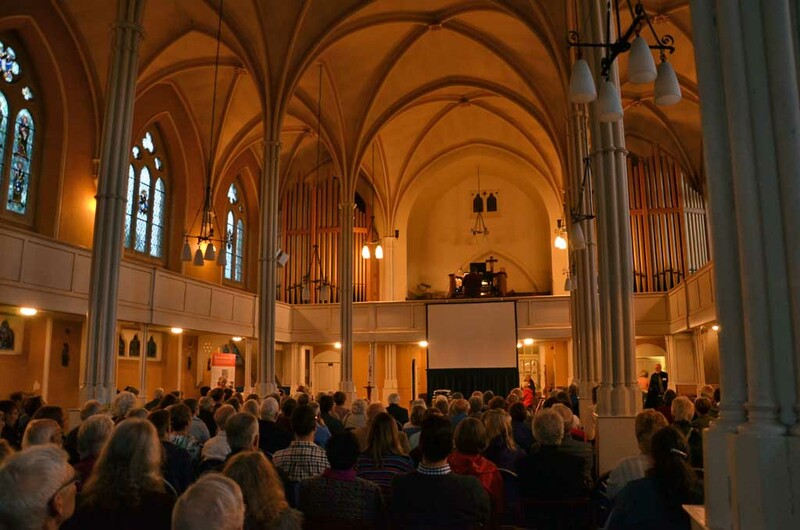 More photos can be found in the Willis Pipe Organ Festival 2018 photo album.